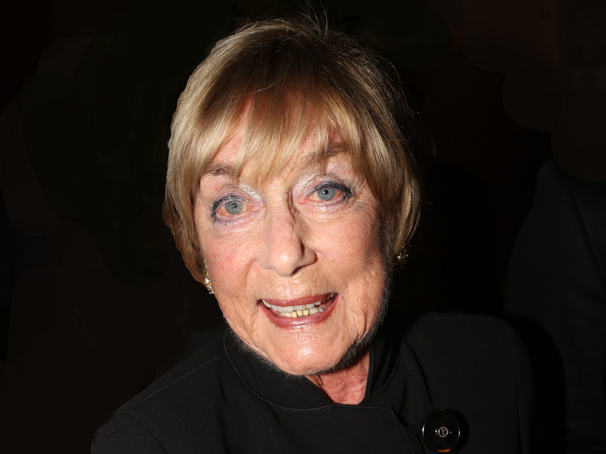 Gillian Lynne, two-time Tony nominee and renowned choreographer of Cats and The Phantom of the Opera, died on July 1 at the age of 92. Lynne's husband, Peter Land, tweeted the news from his late wife's account later that day saying, "Rest In Peace my darling Gillie. I am heartbroken to write that Dame Gillian Lynne DBE & my dearest wife & friend & love for 40 years passed away at 6.20pm tonight 1st July 2018 at the Princess Grace Hospital. She leaves behind a huge legacy & is adored by many." Lynne's work in the theater spanned over half a century. She began working as a ballerina in Sadler’s Wells Ballet, now known today as the Royal Ballet, in 1946. After becoming a soloist, she transitioned into becoming a choreographer and director. She made her Broadway debut in 1965 choreographing The Roar of the Greasepaint - The Smell of the Crowd and went on to work on a total of seven Broadway shows. In 1981 she earned global recognition for choreographing Andrew Lloyd Webber's Cats, which earned her a Tony nomination as well the 1981 Olivier Award for Outstanding Achievement of the Year in Musicals for the show's London production. Lynne once again worked with Lloyd Webber in 1988 with The Phantom of the Opera, earning her second Tony nomination. She worked again with the composer on Broadway's Aspects of Love in 1990 and on the screen adaption of The Phantom of the Opera in 2004. Lynne received a Special Olivier Award in 2013 for her contribution to theater. Her many awards include the Golden Rose of Montreux Award, BAFTA, Molière Award and The Queen Elizabeth II Coronation Award by the Royal Academy of Dance. She was appointed Commander of the Order of the British Empire (CBE) 1997 and Dame Commander of the Order of the British Empire (DBE) in 2014. In March of this year, Lloyd Webber renamed the West End's New London Theatre, current home of School of Rock was renamed the Gillian Lynne Theatre, making her the first non-royal woman to receive this honor. The West End will dim its lights before evening performances begin for one minute on July 2.